The 2018 Jeep Compass was an upgrade of the 2017 model, and it considerably did well in the market. The 2018 model featured a new exterior look, enhanced technology features, and provided users with a great off-road capability. The 2019 model builds on these features. The new Jeep Compass comes with significant features from the previous model and this is expected to drive the sales of the model further up. The 2019 model continues with the Jeep Compass off-road formula, and it fits in between the larger Jeep Renegrade and the smaller Jeep Cherokee. The model’s wheel size depends on the trim level that you buy. Buyers have the option of going for the Jeep Compass Sport that is available with an Upland special edition. The special edition has features such as 17-inch wheels, matte-black tow hooks at the back, gloss-black badging, is fitted with a front skid plate, silver anodizing roof and, a polished exhaust tip. The Upland special edition package features silver anodized interior accents and all-weather rubber mates that enhance its classic interior looks. The High Altitude Appearance package gives buyers 19-inch wheels, HID headlights that have LED running lights, a Satin Gloss Granite front grille, and LED taillights. Just like the previous model, the 2019 Jeep Compass has a passenger capacity of five people with the base engine featuring cloth upholstery seats as standard. Higher trim levels feature heated front seats with a leather wrapping. A heated steering wheel is available for the 2019 model just like was the case in the 2018 model at an extra cost. The headroom and legroom in the interior of the 2019 Compass model offers similar comfort to what the previous model offered. The model allows adult passengers to seat comfortably without having to endure limited space. All of the seats fitted in the base trim of the new Compass are similar to what was available for the 2018 model; they are well padded to provide proper support and deliver enhanced comfort. The new Jeep Compass now comes fitted with 9-speed auto transmission with a rev-matching feature that the manufacturer says ensures the model offers quicker downshifts as compared to the 2018 model for drivers who fancy multi-gear downshifts. The base engine for the model is still the 2.4 L four-cylinder engine with a 180 hp power output and 175 lb-ft of torque. The new start and stop feature allow users to save fuel when idling conveniently. The base engine is accompanied with six-speed auto transmission for the trim levels that is complemented with front-wheel drive (FWD) for higher trims. Drivers will now get an All-Wheel-Drive with 9-speed auto transmission for all the front-wheel drive models. The fuel economy of the 2019 Jeep Compass remains almost the same as what the 2018 model offered. The front-wheel models have a fuel economy of 22 mpg city, 31 mpg highway, and a combined 25 mpg with auto transmission and 23 mpg, 32 mpg highway, and 26 mpg when paired with a manual transmission. To compare the mechanical performance of the two models, contact us. At Denver Area Jeep dealership, we are dedicated to serving Denver Boulder Longmont Thornton and we can give you the opportunity to test drive the two models to compare their performance. The technology and convenience that the new Compass offers depend on the trim level one chooses. The Sports trim has the technology and convenience features like a backup camera, heated mirrors, hill-start assist, height-adjustable driver seat, a 7.0 inch LCD, one USB port, a six-speaker audio system, Android Auto and Apple CarPlay connectivity, 115-V power output, and Bluetooth connectivity. The Latitude trim level adds some technology and convenience features on top of what the sports trim offers. It adds features like LED cabin lighting and auto headlights. The Limited edition has an 8-way power-adjustable driver’s seat, a manual height-adjustable front passenger seat, an 8.4 –inch LCD touchscreen, an auto-dim rear view mirror, and a remote ignition. The Trailhawk trim offers hill-descent control and an 8.4-inch LCD touchscreen. To compare the 2019 Jeep Compass vs 2018 Jeep Compass based on their technological features, just visit Denver Area Jeep dealership. At the dealership, we are dedicated to serving Denver Boulder Longmont Thornton. The NHTSA gave the 2018 Jeep Compass an overall five-star rating while the IIHS ranked the model as a Top Safety Pick on crash prevention and crashworthiness. The 2019 model is expected to receive similar or even better ratings from the NHTSA and the IIHS as compared to the 2018 Jeep Compass. The base trim level for the model has safety and driver assist technologies such as traction and stability control, anti-lock braking discs, and seven airbags. The three higher trim levels have extra safety features like blind spot monitoring, an auto emergency braking system, a rear cross-traffic warning, and a lane-keep assist. Are you looking for a dealership for the new Jeep Compass? 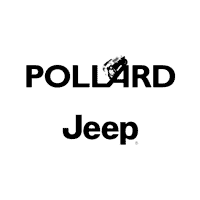 If you are, you need to consider Denver Area Jeep dealership. We are a manufacturer-licensed dealership serving Denver Boulder Longmont Thornton. You can contact our customer care agents any time for more information through the numbers on our website. We will provide more information on the 2019 Jeep Compass vs 2018 Jeep Compass.